Popcorn is such an easy and delicious snack for game night. 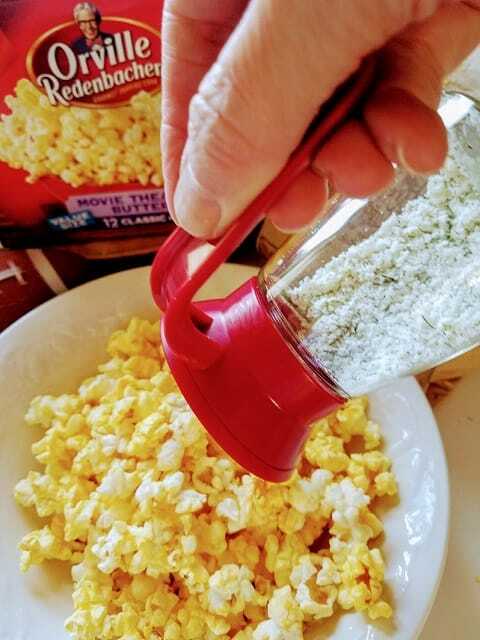 This Sour Cream and Onion Popcorn will be a hit with your football friends and family! I think Sour cream and onion is the best flavor, it’s zesty and onion-y. It tastes delicious on crackers, chips and especially popcorn. 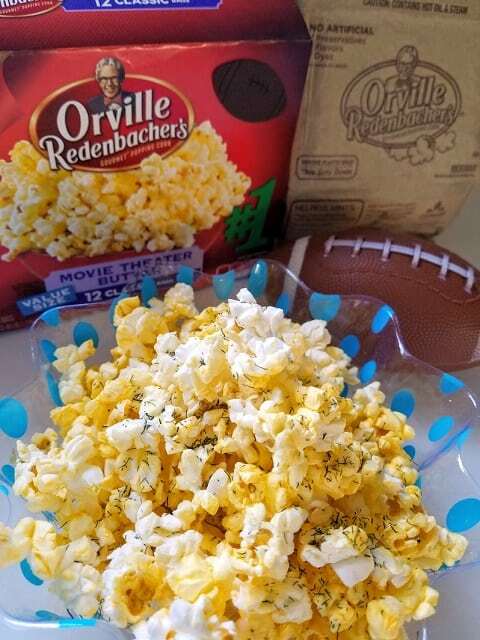 Add this flavor to popcorn and you have a wonderful crunchy football snack. Find great inspirations here . We were just sitting around and enjoying the game last weekend and hubs asked if we had any popcorn. 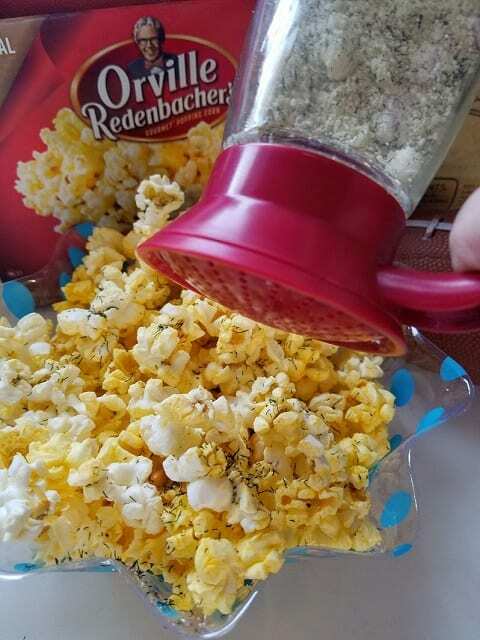 I popped some Orville Redenbacher’s® Movie Theater Butter in the microwave and made a shaker full of sour cream and onion mixture to sprinkle over it. He loved it so much, I made another batch for game day! Invite your friends and family over to watch the game and make sure to include Sour Cream and Onion Popcorn. Want more popcorn ideas? Check these out! 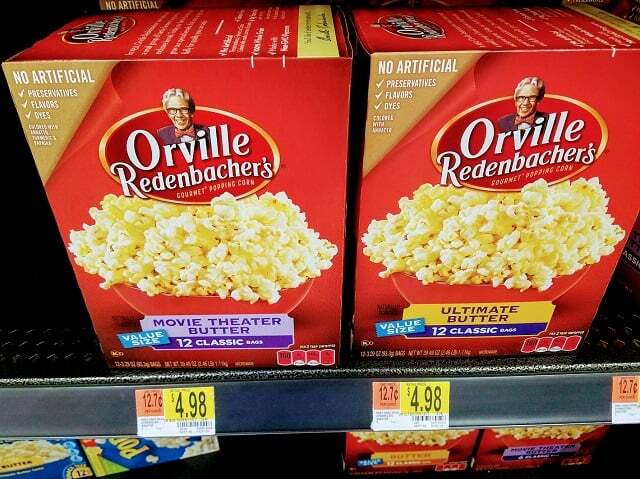 I like that Orville Redenbacher’s® Movie Theater does not have artificial preservatives, flavors, or dyes. In 1952, Orville Redenbacher hand selected a small group of family farmers to grow his exclusive kernel. Generations later, farmers like Richard Overmyer continue to grow that same special kernel that pops up lighter and fluffier than ordinary popcorn. To top that off, they are the only leading brand who uses real butter. Because your family deserves the very best. 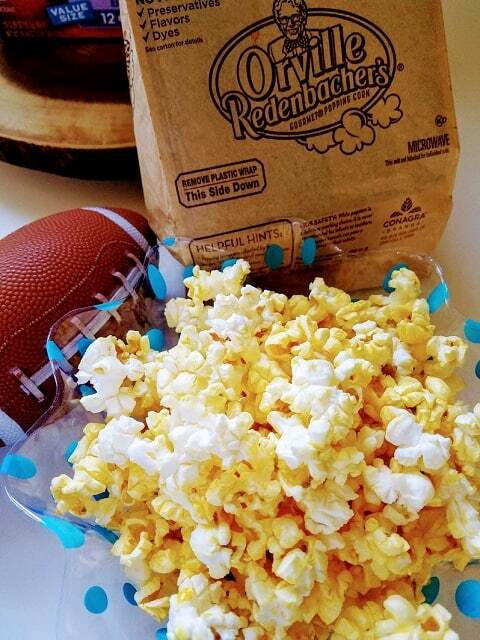 More Gameday popcorn ideas. 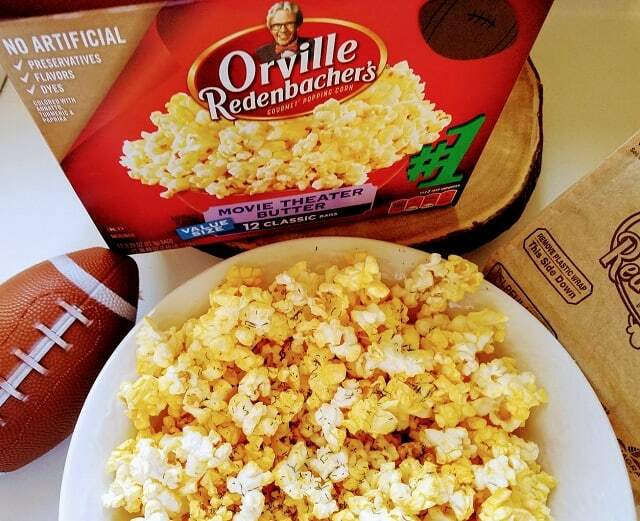 Orville Redenbacher’s strives to be the best quality for any occasion that is most cherished. You can purchase Orville Redenbacher’s popcorn at your local Walmart! Find more inspirations for your game day party here. Nettie is a wife and mother who is passionate about cooking and baking… especially when easy meals are involved! With 5 children, Nettie insists that all meals, snacks, and desserts come together quickly! You will find a wide variety of easy yet scrumptious recipes on her very popular website Moore orLessCooking. 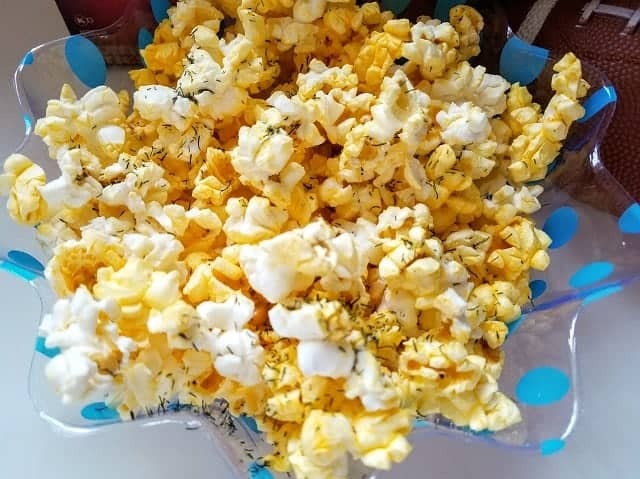 Zesty and delicious sour cream and onion popcorn is the perfect football snack. Pop Orville Redenbacher's Movie Theater Butter popcorn according to package instructions. 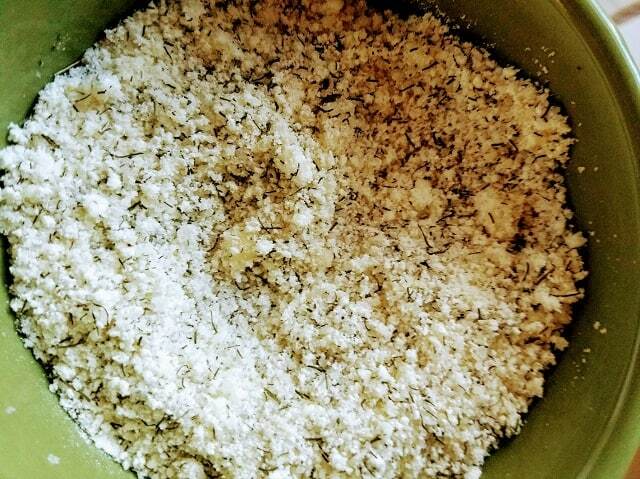 Stir all of the 5 ingredients of the Sour Cream and Onion mixture in a bowl, pour into a shaker container. Add liberally to the buttered popcorn. Some of that popcorn and i’m ready for the game.